Expansive suite with vaulted ceilings and wood floors is decorated in magnetic shades of blues and luscious browns. A picture window overlooks the tree-filled backyard and the comfortable seating area is situated in front of the stunning antique fireplace. 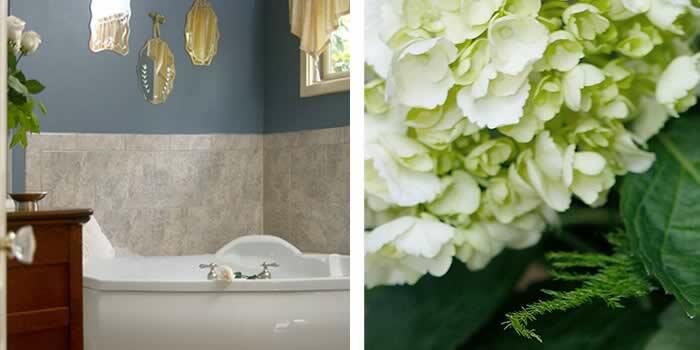 Pamper yourself in the large bathroom.